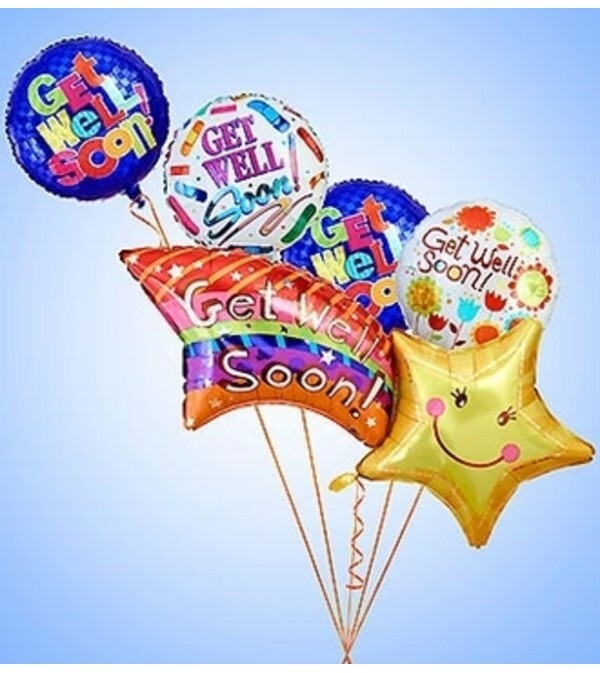 Lift their spirits with our playful bundle of Get Well balloons. 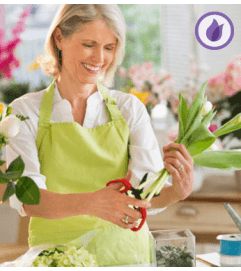 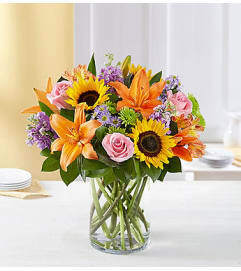 Highlighted by our smiling Shooting Star Mylar balloon, it’s just the gift to add some sunshine when they’re feeling under the weather. Shooting Star Mylar balloon with a "Get Well Soon" message, paired with a playful assortment of Get Well balloon.